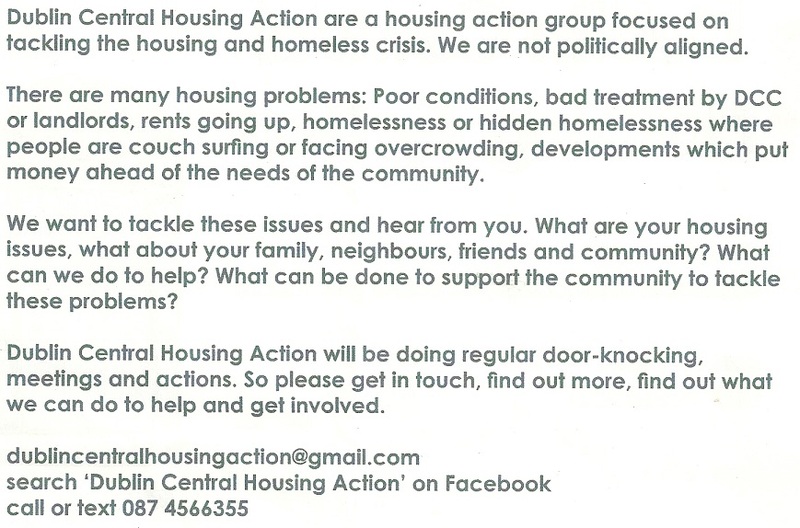 A leaflet from the Dublin Central Housing Action group. 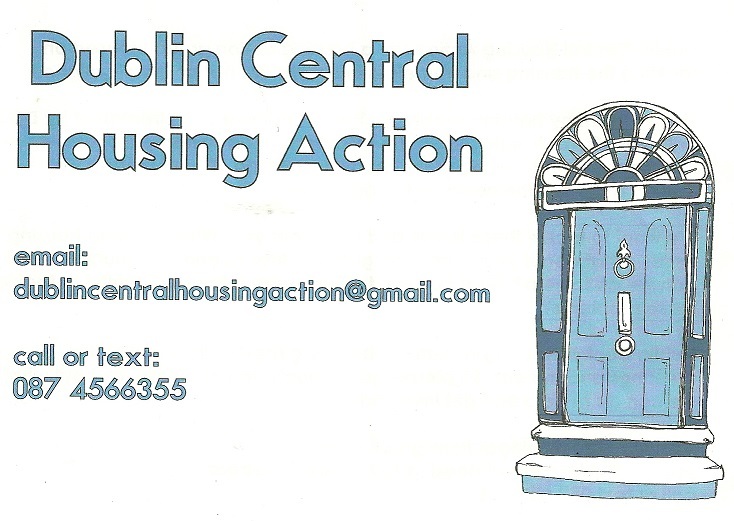 They are a housing action group focused on tackling the housing and homeless crisis. They are also not politically aligned. Many thanks to Bas O’Curraoin for sending on this and other material.